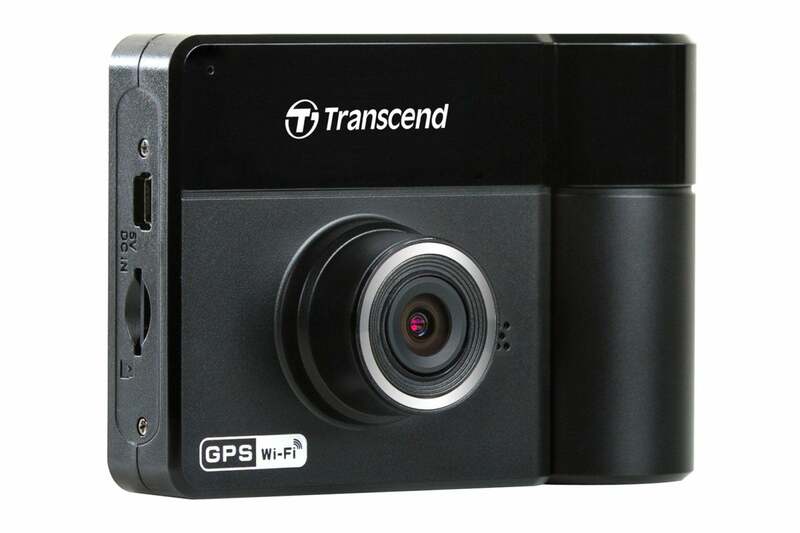 This dash cam lets you track the action in front of you and in the car. The DrivePro 520 is also easy to use and takes good video, but you need to commit to the type of mount (semi-permanent or suction) you want ahead of time. Only one type is included in the package. The DrivePro 520's physical appearance reminds one of nothing more than a small XLR film camera. However, the place where the film would go is actually the horizontally rotating interior camera. It's wonderful for tracking the driver and rear seats, and it swivels 180 degrees for additional front coverage. 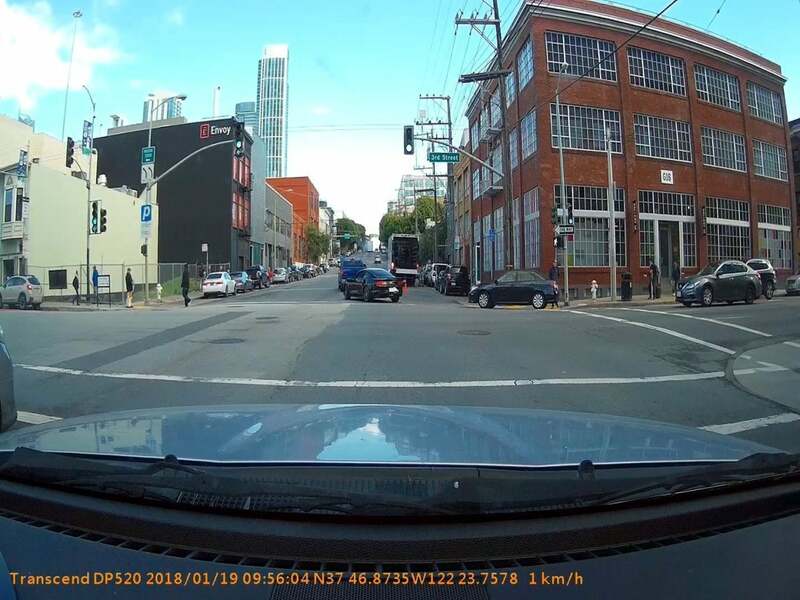 Because the rear-facing camera is so distant from your rear windshield, however, all you'll see of the back view is glare—in other words, you won't be able to use this camera to monitor rear traffic. If that's what you want, check out these dual-channel models we've reviewed: Blackvue DR750S-2CH and Cobra CDR895D. What you see is how far the rear-facing camera will swivel to the right. This leaves a blind spot encompassing the passengers seat in some smaller vehicles. The 520 Pro utilizes an Aptina AR0330 3MP (1080p) sensor in the front-facing camera, and a 1MP (720p) sensor in the rear-facing camera. The front camera has a 130-degree field of view, while the rear-facing camera has a 110-degree field of view. There's a G-sensor that switches on "don't overwrite this video" mode, as well as GPS for tracking your location and relative speed. 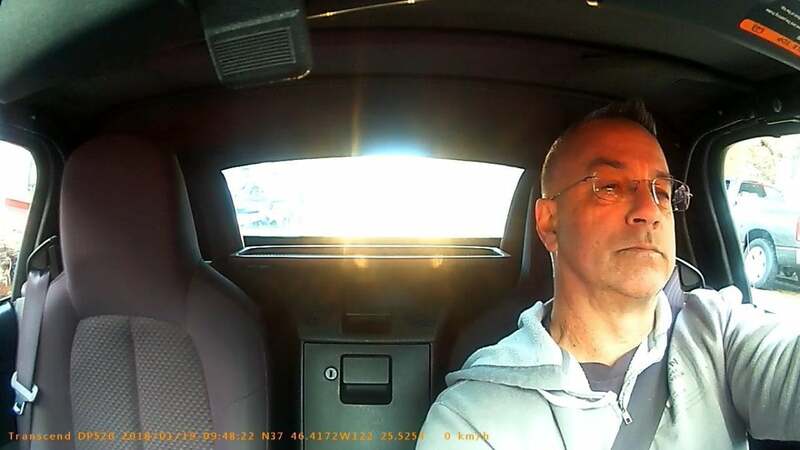 While the DrivePro 520's interior camera swivels only horizontally, it will capture just about anything in the cabin that's not hidden behind the seats or another obstruction. As you'll see in the performance section, window glare kills your chance of monitoring anything in back of the vehicle. There are four buttons on the back of the camera that allow you to navigate the interface via the unit's 2.4-inch color display. One thing that Vava's Dash Cam spoiled me with was its large, separate Bluetooth still-capture button. The DrivePro 520 has one on the bottom that's relatively easy to reach and press, but it's not quite as handy or quick as the Vava Dash Cam's. To be fair, most of the cameras I've reviewed so far suffer the same problem, and in most cases the still capture button is harder to find and press than it is on the DrivePro 520. The DrivePro 520's SDHC slot is on the right side of the unit, as is the Mini USB port used to power the unit. There was no hard-wire kit available online, but that's an easy DIY fix for most users. Buying the DrivePro 520 is not as straightforward as it should be. Though the prices I quote include a 32GB SDHC card, with the suction mount, the DrivePro 520 is a $190 product, while with a sticky mount, it's a $200 product. Err... A piece of double-sided tape is not $10 more expensive than a suction cup. One could certainly make a case that both should be included. Additionally, the first suction mount I received had a deformed cup. 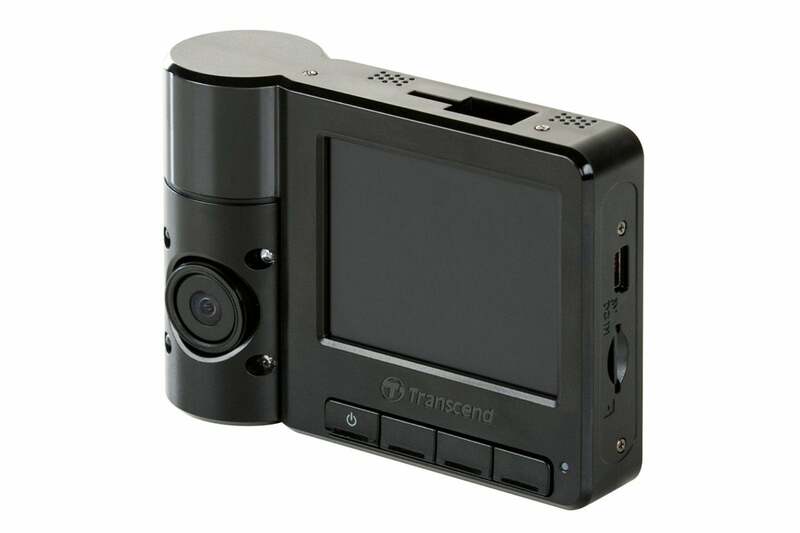 Transcend sent me a second mount that worked fine, but as the camera can be removed from either type of mount, I recommend the sticky version as more secure. That makes the DrivePro 520 a $200 product. The suction mount is also available as an optional accessory ($10 on Amazon), and adding it would allow you to use the cameras in other cars. 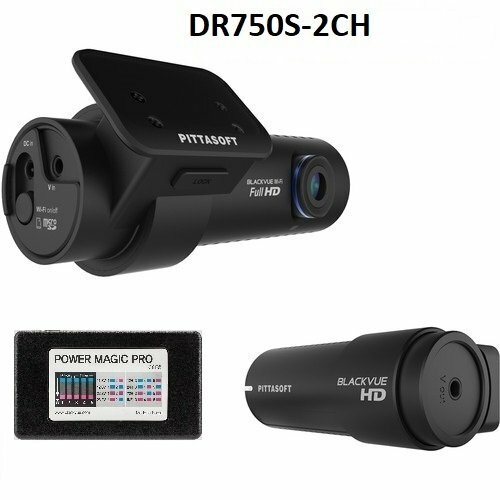 There are cameras that feature greater resolution than the DrivePro 520, but generally speaking, they either use up available storage quickly, or the video must be compressed to the point where it offers little better results than the DrivePro 520's 1080p (720p interior). The DrivePro 520's captures looked good even before I remembered to remove the plastic protective film covering the front lens. Rich color will do that for you. That said, in some instances color was oversaturated, though details remained suitably sharp. There's nothing wrong with the 520's daytime video, though we did notice some slight moire in detailed areas. 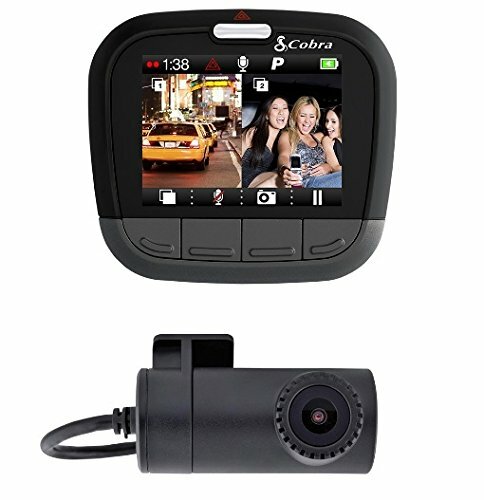 Though the color is a little over-saturated, the 520 will keep track of what's happening inside your vehicle. Catch the kids or the passengers red-handed! The interior camera is surrounded by four LED sensors, which help adjust the camera to capture interior images at night. Therefore, we're showing you two night shots instead of the usual one. The interior night video has that "night vision" monochrome look, but shows what's going on just fine. 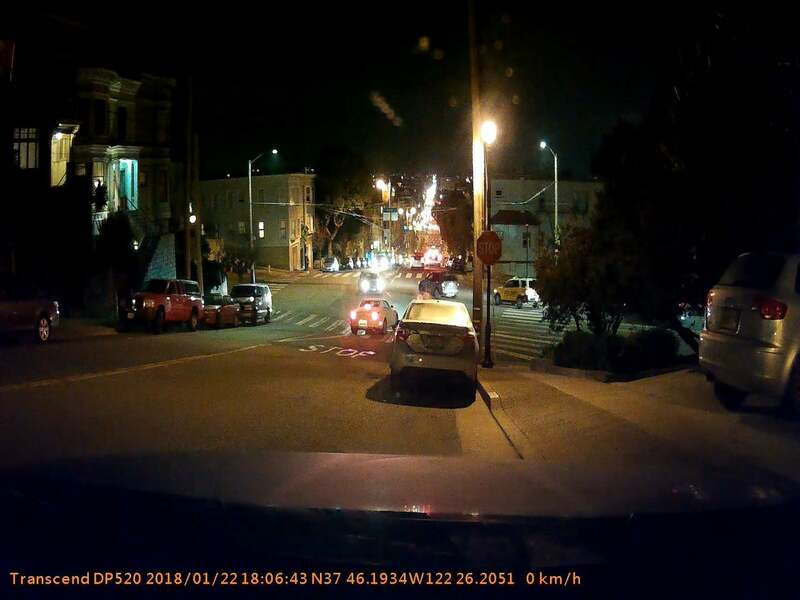 Outside nighttime video shows good detail and color, and reacts well to changing ambient light conditions. There's a bit of flare from approaching headlights, but that's the norm. The 520's color is very rich, and it shows more than enough detail in night videos. 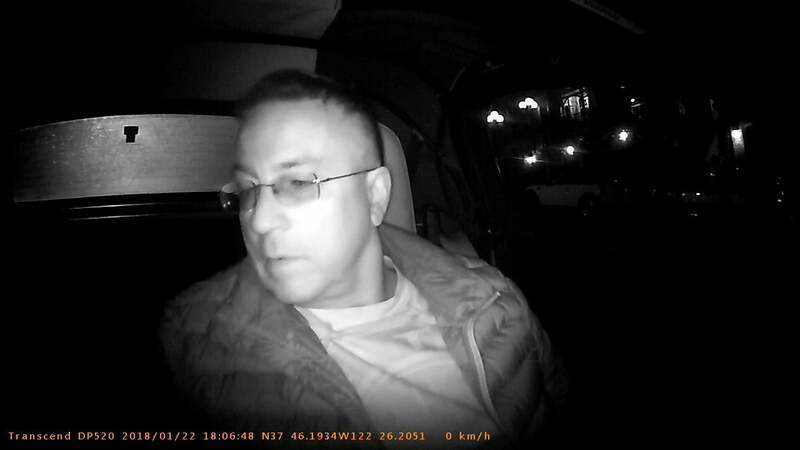 This old guy snuck into my car when I was testing the Transcend DrivePro 520's interior night vision. Truth be known, you can use other dual-channel cameras and mount the second camera anywhere you want to mimic the DrivePro 520's primary feature. Still, the DrivePro 520 stands out for ease of use and storage, good video quality, and interior monitoring setup. Just make sure you know which type of mount you want. The DrivePro 520 now has me anticipating the industry's first three-channel, front/interior/rear, or 360-degree dash cam system. Rumors are out there. Come on, folks.